Reiki is a Japanese spiritual discipline which focuses on following a path to enlightenment. A part of this practice involves healing both yourself and other people by sharing universal energies. Universal energies can stimulate your body's own immune and repair systems in order to make your body operate how it was designed to be. Reiki can be used for self healing as well as helping others to overcome their own illnesses both physical, emotional, mental and spiritual. Reiki is universal, so it works on plants ,animals, food, you just have to be willing to accept this Wonderfull energy, and it will change your life in a very profound way. Whether you need healing yourself or wish to learn this practice I can help you to achive your full potential in your life. 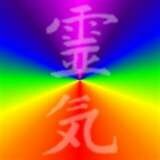 Colour Reiki is a gentle non-invasive holistic therapy which will make a positive change to our lives. The invisible vibrations of colour can either relax or stimulate us according to the colours chosen for healing. Even blind people can develop a sense of colour. 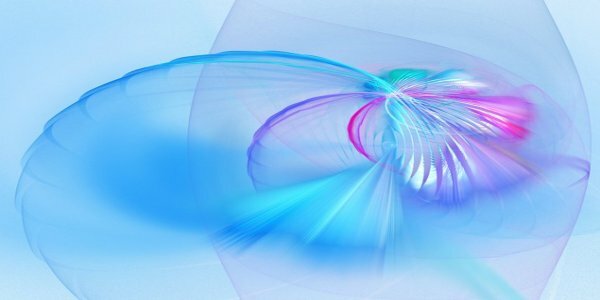 The Colour Reiki practitioner is sensitive to the vibrational energies of colour and channels this through themselves to the client. I teach this technique in regular workshops, click here for details. Reflexology is a form of 'alternative' or 'complementary' medicine and involves a method of treatment using massage to reflex areas found in the feet and the hands. Most commonly, the feet are used as the areas to be treated. 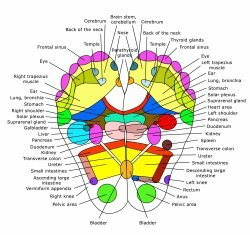 The aim of Indian head massage is to release the stress that has accumulated in the tissues, muscles and joints of the head, face, neck and shoulders. Indian Head Massage is a treatment based on old Ayurvedic techniques involving work on the upper back, shoulders, neck, scalp and face. A variety of massage movements are used to relieve accumulated tension, stimulate circulation and restore joint movement. The client, fully clothed, sits in a massage chair for the treatment. The therapist uses a range of different movements including application of deep kneading and compression movements over the neck, shoulder and scalp areas. In addition, the therapist will also gently stimulate and stroke pressure points on the face. The session will usually last from twenty to forty-five minutes. Swedish Massage is designed to relax muscles by applying pressure to them against deeper muscles and bones, and rubbing in the same direction as the flow of blood returning to the heart. This form of massage was created at the turn of the century by Henry Peter Ling in Sweden. It involves the use of kneading, stroking, friction, tapping, and vibration and may provide relief from stiffness, numbness, pain, constipation, and other health problems. The main purpose of Swedish massage is to increase the oxygen flow in the blood and release toxins from the muscles. Other possible benefits include stimulation of circulation, an increase in muscle tone, and a balance of the musculo-skeletal systems. Aromatherapy is based on the use of very concentrated "essential" oils from the flowers, leaves, bark, branches, rind or roots of plants with healing properties. These potent oils are mixed with a carrier (usually soybean or almond oil) or the oils are diluted with alcohol or water and rubbed on the skin, sprayed in the air, inhaled or applied as a compress. The aroma of these "essential" oils directly stimulates the brain or that the oils are absorbed through the skin into the bloodstream, where they can affect the whole body and promote healing. Ear candles can help with the treatment of sinusitis, rhinitis, earwax, earache and irritation of the ears including tinnitus. It is also suitable for the treatment of headaches and migraines. It is not suitable for those with perforated eardrums, where grommets are in place or those who may have an allergy to the ingredients. The treatment is very gentle and relaxing and may take up to an hour, depending on the condition being treated. It is a safe and gentle treatment for children. The Hopi candle is not a candle as such, but a hollow tube made out of cotton flax. To stiffen the flax, they are impregnated with extract of honey and herb oils (in particular chamomile, sage and St Johns wort), the healing properties of which have been known to the Hopi tribe for hundreds of years. Everyone has their own capacity for self-healing and if this is allowed it to become fully active patients can be empowered to be their own healers in a truly effective way. A session usually lasts for about an hour. The recipient removes their shoes and socks and may be either sitting or lying down. The practitioner uses a light touch on the spinal reflex points in the feet, hands and head. The Metamorphic Technique is gentle, non-invasive and completely safe. As it is the person's own life force that does the healing, it cannot do any harm. It can be safely used by anyone including children, pregnant mothers and people who are dying. The Technique can be received on its own or alongside other approaches, whether conventional medicine or alternative and complementary therapies.